"Today I made it from the bed, down some stairs and to the sofa. 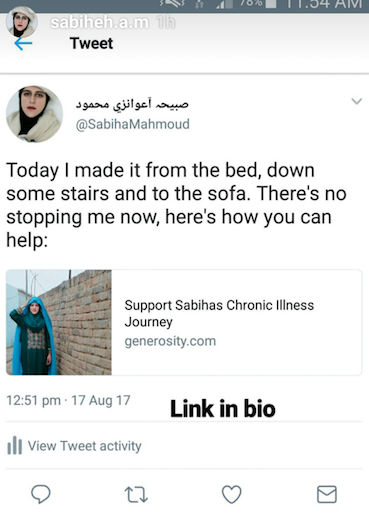 There's no stopping me now"
I first met Sabiha a few years ago, after she was a panelist at an event which Some Cities organised in Birmingham. Over the years we've talked about photography and our frustrations about the medium, but also about the world around us and our place within it, in always uplifting, funny and motivational ways. If you'd like to find out how you can help support her in her current journey so that I selfishly can maintain my motivational chats with her, please see below. 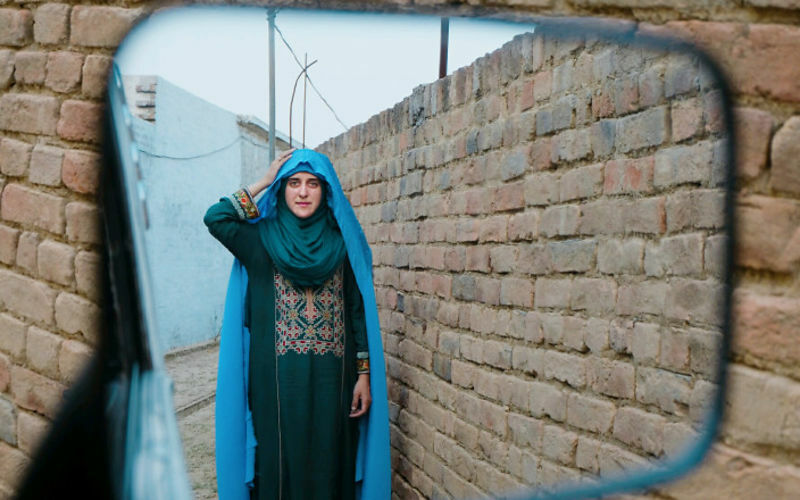 "I...met Sabiha when she exhibited her photography at a conference I attended in London. Although tired from the journey, I immediately noticed the striking photography that was offered to us as a diashow with mesmerising rubab music playing in the background, creating a hauntingly beautiful composition.“Who’s work is this?“ I kept asking around and was finally pointed towards this person in beautiful Afghani clothes. I sensed that this was someone comfortable enough with their own self. She didn't need to impress anyone. Both feet firmly on the ground."